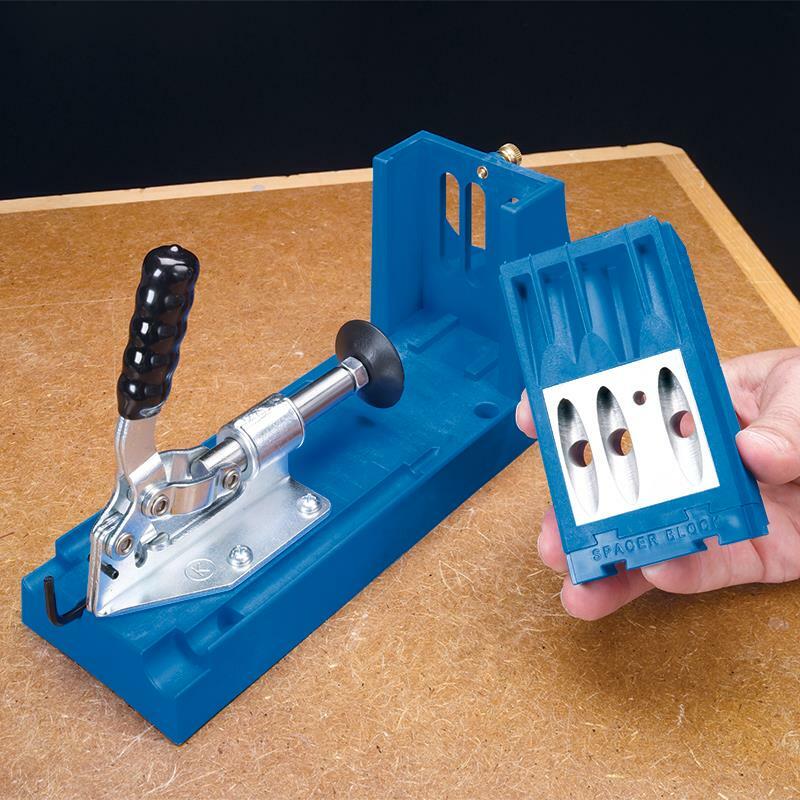 The 3-hole Drill Guide lets you make perfectly placed pocket holes in a wide variety of material widths and thicknesses—from 1/2” to 11/2” in 1/8” increments. 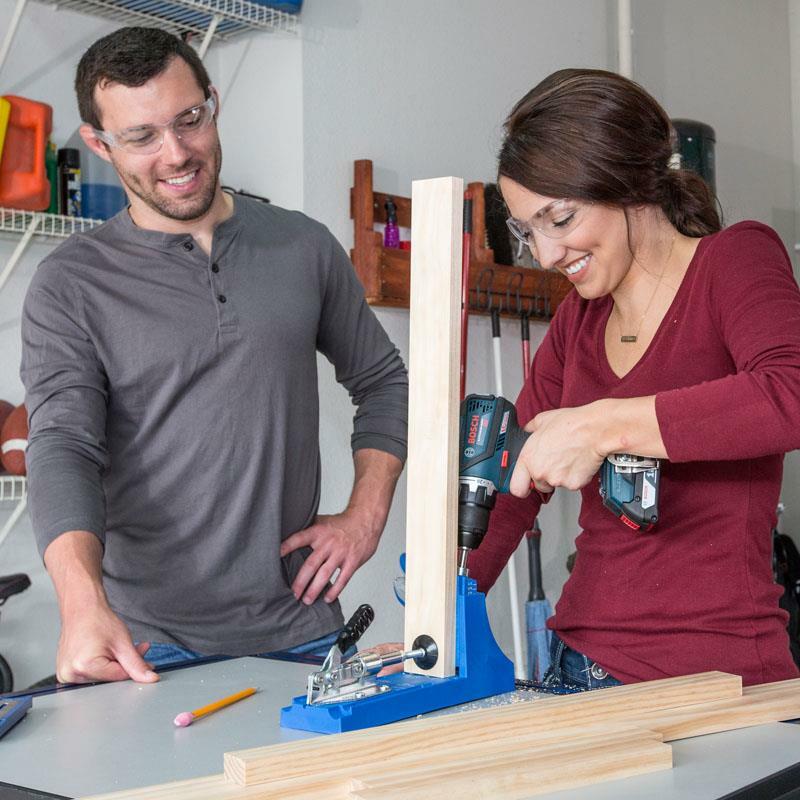 Every Kreg® Drill Guide features a hardened-steel core that carries a lifetime guarantee. 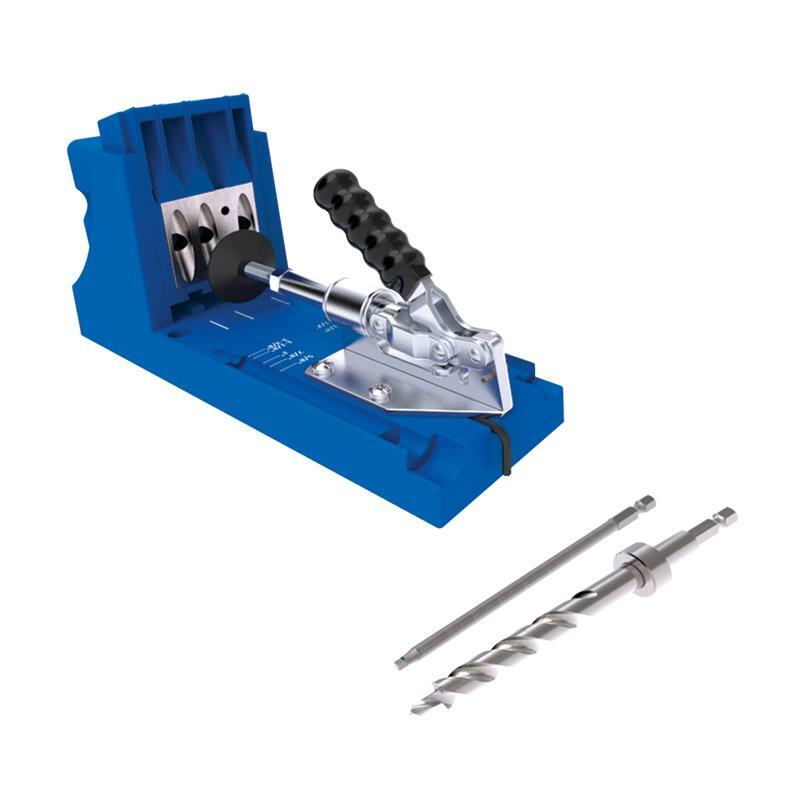 The core shrouds the bit and supports the workpiece through 100% of the drill-stroke, resulting in minimal bit deflection, reduced tear-out, and a clean, pluggable pocket hole. 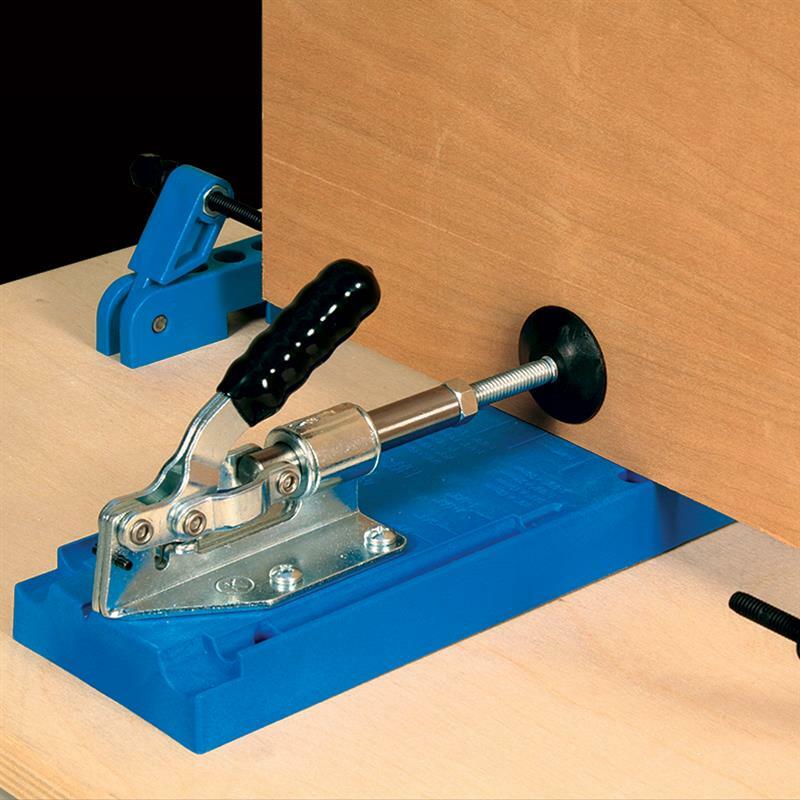 The large clamping recess makes it easy to secure your jig to your workbench using Kreg multi-purpose Face Clamps or any common bar clamp or C-clamp. 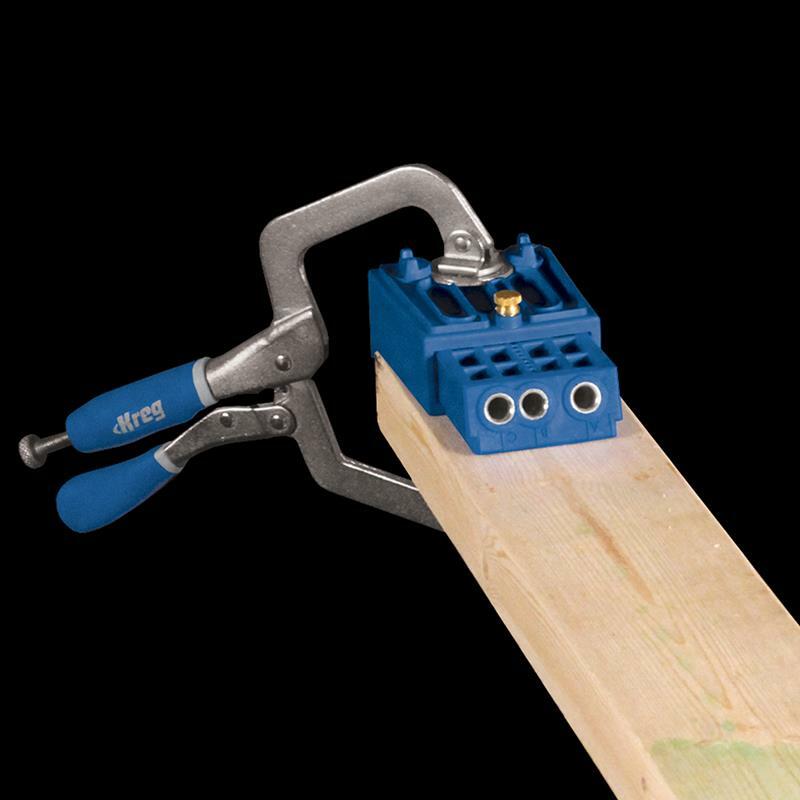 The Kreg Jig® K4’s rear-mounted clamp design has been around since the first Kreg Jig®. Its proven design offers incredible rigidity and uncompromising workpiece holding strength. 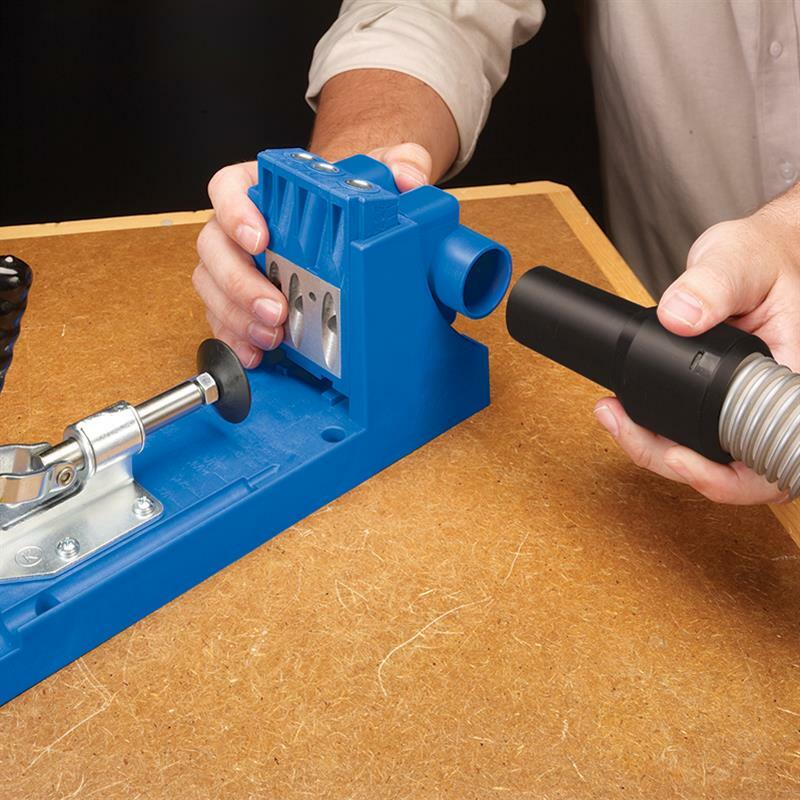 Adjustments are as easy as releasing the locknut and rotating to the correct setting. 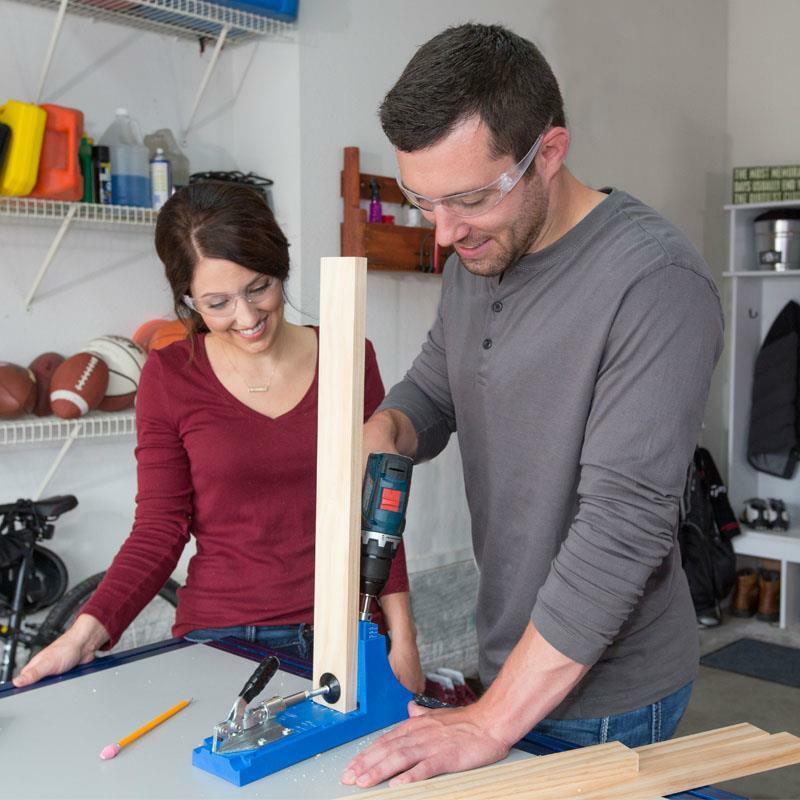 The blue body of every Kreg Jig® K4 is made from a heavy-duty, glass-reinforced nylon. 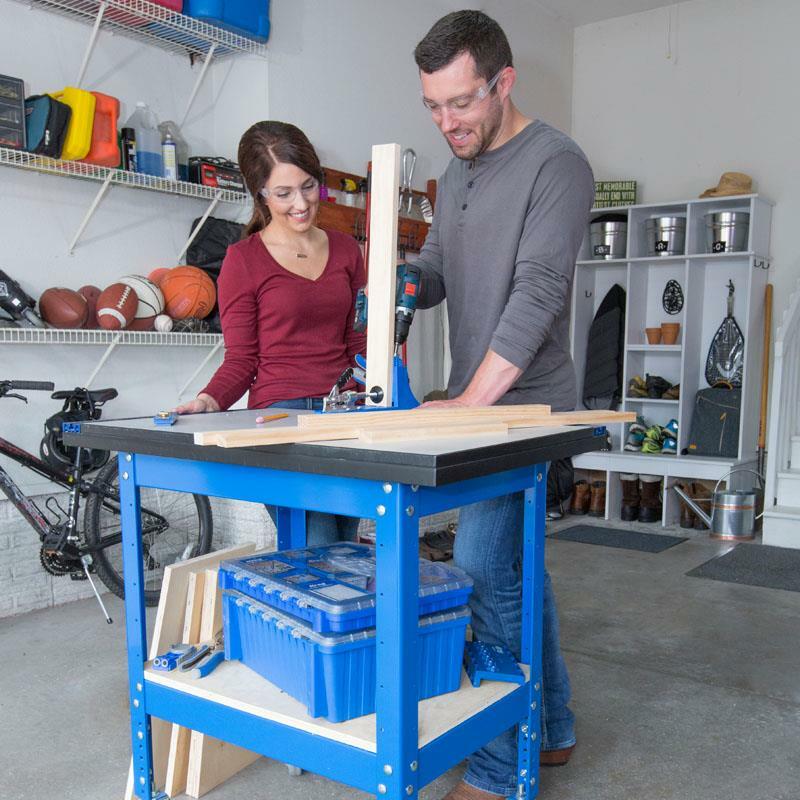 This unique composite material offers the resiliency and flexibility you need, with the strength and durability Kreg customers have come to expect. 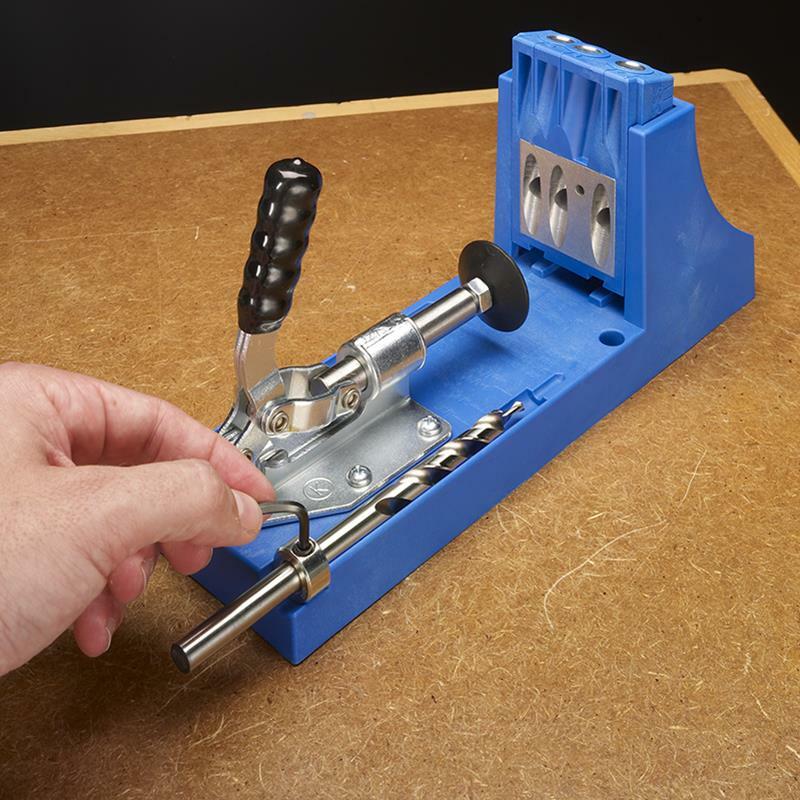 Unlike competing jigs with a shallower angle of approach, the Kreg Jig® K4 features an optimized drilling angle, specifically designed to increase driving efficiency and minimize the overall size of the pocket hole. 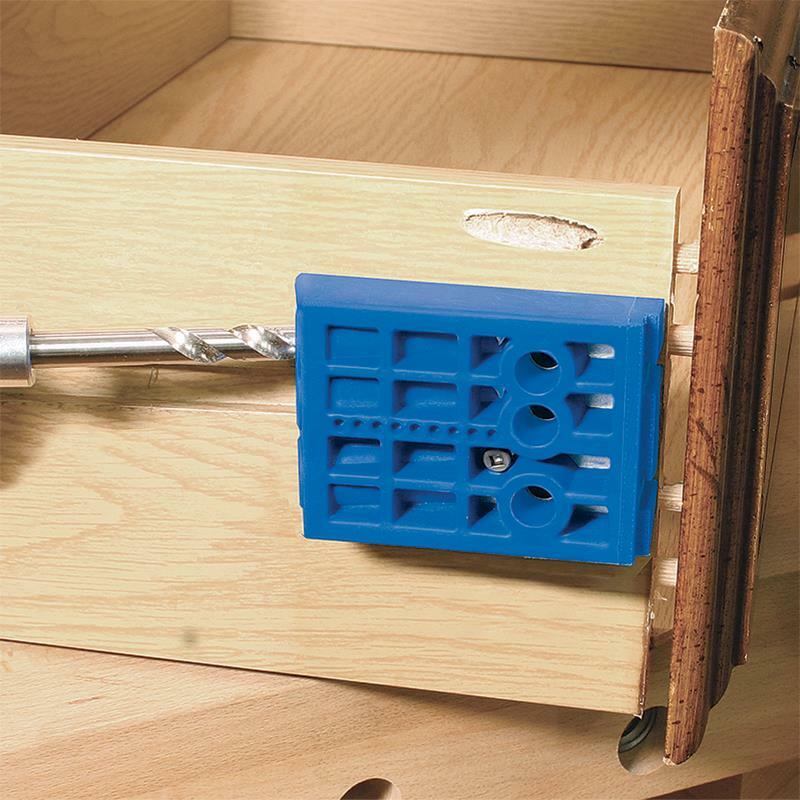 The result is a compact pocket hole, less than 11/2” in size.